The full name of Shane Watson is Shane Robert Watson who is world No 1 All rounder in One day International cricket of ICC rankings with 428 points. 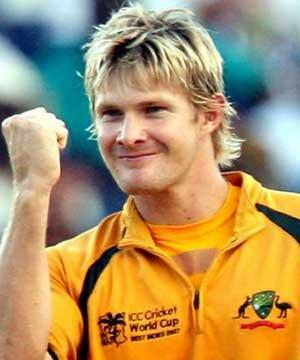 Shane Watson was born in the year 1981 June 17 at Ipswich, Queensland, Australia. Watson is the opening Right handed batsman of Australia and Fast medium bowler. Watson made his test debut in the year 2005 January 2 against Pakistan and his One day debut is against South Africa in the year 2002 March 24. Watson was married to Lee in the year 2010. Watson made his First class debut for Tasmanian Tigers club. Watson scored two centuries in test cricket and 6 centuries in ODI cricket. Watson is also playing for Rajasthan Royals in IPL championships. Watson started his International career in 2002 , where he was selected for South Africa series. In the test debut itself Watson showed his brilliance in batting by scoring 93 runs. In 2009 Watson again showed his batting skills by scoring two important centuries in semi final and final of 2009 Champions trophy which helped Australia to win the title. 2007 was not a good year for Watson as he misses the world cup due to Injury. Watson's best innings in ODI cricket comes in the year 2011 where he scored 185 runs from 96 balls and hit 15 sixes in that match which is a world record.